Stony Brook University’s Mattoo Center for India Studies hosted a discussion on legal ethics between former U.S. Attorney, Preet Bharara and SBU Senior Managing Counsel, Susan Blum, in the Charles B. Wang Center on Friday night. 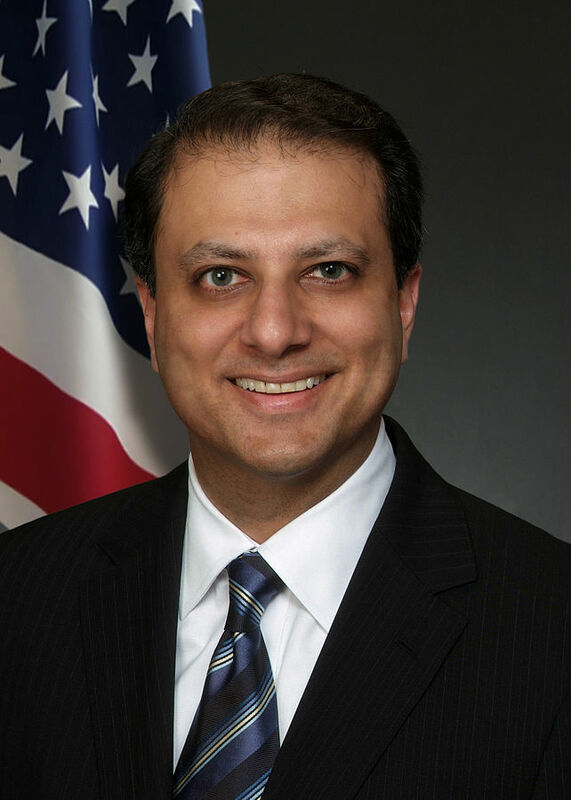 Bharara served as the U.S. attorney for the Southern District of New York for almost eight years after being appointed by then-President Barack Obama in 2009. In his time as a prosecutor for a federal district that includes all of New York City, he handled cases involving the failed 2010 bombing of Times Square, dark websites like The Silk Road and numerous Wall Street investigations. The conversation with Bharara began less than an hour after reports surfaced that Special Counsel Robert Mueller had submitted a report on his department’s two-year investigation into allegations President Donald Trump’s 2016 campaign colluded with the Russian government. The announcement elicited gasps from the audience. Bharara reflected on the ethical challenges that come with a job that causes people to face heavy fines and prison time. He said one of the most important and difficult decisions a prosecutor can make is whether to walk away from a case that may evoke moral outrage, but does not fit the bill for legal punishment. Following the initial announcement of the Mueller report’s submission, some audience members were disappointed Bharara and Blum did not spend more time discussing the particulars of his investigation. In contrast, other attendees thought the conversation was a refreshing break from a news cycle inundated with Trump discussion.